This festive beverage is fruity, spiced and perfectly nice for holiday entertaining. Mix up a batch for a cup of cheer you’ll want to sip all season long! Place your berries in the freezer. Mix the remaining ingredients in a pitcher and refrigerate overnight. Serve adding the berries in place of ice to keep the drinks cool. 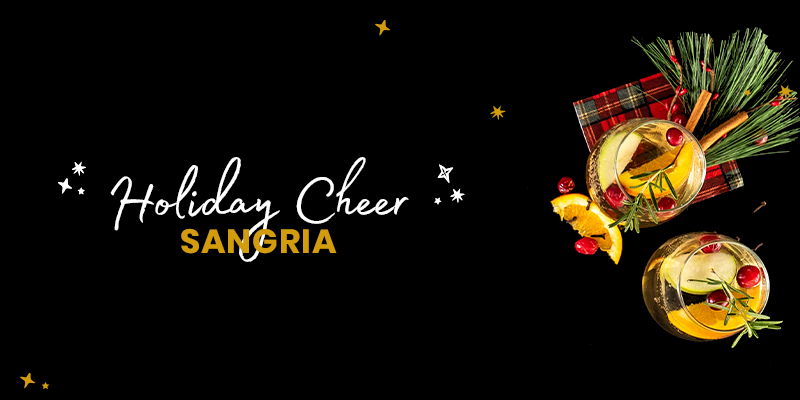 Make our Holiday Sangria today by shopping the ingredients online or in store now!